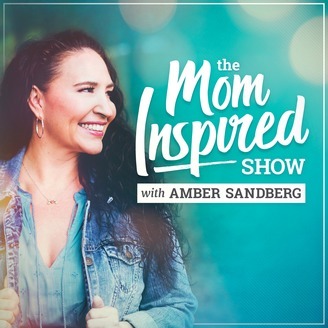 Every week on the Mom Inspired Show, Amber Sandberg and her guest delve into relevant topics for women including: pursuing passions, overcoming battles, and trouble shooting issues that women face. 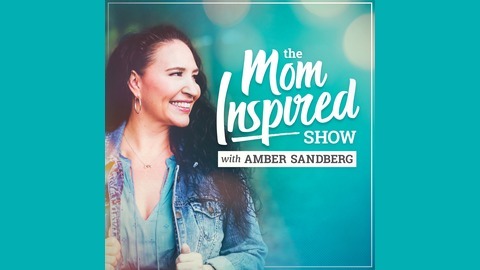 Amber loves to connect with women – especially moms – and encourages them in their authenticity because they are already “good enough.” Be uplifted and inspired. Join the village that seems to be missing in today’s age at the Mom Inspired Show. Find out more at http://mominspiredshow.com. Have you ever wondered what is the best way to save for your kids college? Today we have Julie Lam with Good Egg Investments on the show and we dive into different ways to save for college, why 529s might not be the best route as well as teaching our kids how to invest. You might remember Annie Dickerson from episode 124, where she talked about investing in real estate passively, her and Julie started Good Egg Investment and so I thought it would be great to hear from Julie this time. Julie shares with us how she plans on paying for an ivy league college education or have the flexibility to have money available for her kids to invest in businesses or themselves. She explains how she is teaching her children about investing using a syndication model and what that looks like. One topic that stood out to me was that for her situation, renting a home instead of buying has allowed her to have money coming in every month instead of out. Hear what she says about this topic and more on the podcast. If you liked this episode I bet you will love the episode I did Julie's partner at Good Egg Invest on passive real estate investing: teaching moms how to invest in real estate passively Resources mentioned in the show: Investing in your first real estate syndication can be intimidating. It takes a lot of time and energy to fully understand the ins and outs of the process, the lingo, and the risks. Passive Real Estate Investor Academy is the all-in-one resource you need to quickly and efficiently get up to speed so you can start building passive income sooner. THIS COURSE IS DESIGNED TO GIVE YOU EVERYTHING YOU NEED TO INVEST CONFIDENTLY IN YOUR FIRST REAL ESTATE SYNDICATION Not only will you know the lingo, but you'll understand the full process of investing in a real estate syndication, from start to finish. You'll learn exactly how we find and vet deals, to make sure you're meeting your personal investing goals and mitigating risk. You'll get a behind-the-scenes peek at multiple investments that we and our investors have invested in, what made them good investments, and how they're doing now. Click the link below to purchase the Passive Real Estate Investor Academy http://mominspiredshow.com/realestateinvesting Guest Info: Julie Lam Website: https://www.goodegginvestments.com Facebook: https://www.facebook.com/goodegginvestments/ Instagram: https://www.instagram.com/goodegginvestments/ Note: This page contains some affiliate links. If you click on them and make a purchase, we’ll receive a small commission — at no additional cost to you!